There’s some really great news for those looking to buy or refinance their home in 2019. The maximum loan limits for both FHA and Conventional mortgages have been increased across the entire State of Florida! That means that you, as a home buyer or current homeowner, can now borrow more money, at a lower cost, in 2019 than you ever could in 2018. Fannie Mae and Freddie Mac, the two largest government-sponsored enterprises responsible for the securing and purchasing of most conventional mortgages, announced the proposed changes earlier this month. FHA, another low-cost mortgage solution whose loans are secured by the government, then followed suit with the raising of their maximum loan limits for 2019. For example, in Orange County, Florida, the FHA loan limit was raised from $294,515 in 2018 to $314,827 in 2019. That’s the maximum amount that you could possibly get approved for an FHA loan in that area. So, if you were looking to purchase a single-family home and only wanted to provide the minimum 3.5% down payment that FHA requires, the maximum purchase price (or buying power) you could get approved for just went from around $305,196, all the way up to around $326,245! FHA loans are great for home buyers with less-than-perfect credit and limited funds for down payment, but the caveat has always been that the loan limit was too low for some folks to purchase the home they wanted. Now, with these increased loan limits, FHA buyers can realistically look at homes over $325,000; something they could never do previously without a substantial down payment. And that’s not all; some counties, deemed ‘high-cost’ areas, have even higher loan limits! In addition, there are even higher loan limits for multi-family homes. 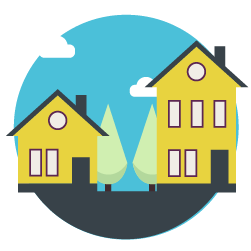 Check out the complete list of maximum FHA loan limits for one, two, three and four-family homes here. Conventional mortgages got a big boost in 2019 as well. Take Seminole County, Florida, for example. The conventional loan limit was raised from 2018’s $453,100 all the way up to $484,350 for 2019. That’s a $31,250 increase year-over-year! What does this mean to you as a home buyer or someone looking to refinance? It means that you can now borrow more money at the low rates and security that a conventional mortgage offers, without having to obtain a ‘jumbo loan’, which are usually costlier and require a heftier down payment. With the special loan programs we have access to, it’s not unheard of to get qualified for a $490,000 home purchase with only a 1-3% ($4,900 – $14,700) down payment required; that’s even less than FHA! If you’ve been pre-approved for an FHA or conventional mortgage in the past few months, you owe it to yourself to get in touch with us and see how these changes might affect your particular situation. If you haven’t yet been pre-approved, then this is as good a time as any. Just give us a call at 407-204-9600 or click the link above to get started. Next:How Does the Government Shutdown Affect Getting a Mortgage?